SHIP MY RIDE is the auto transport company you're looking for to fulfill your auto transport needs! Looking for options? 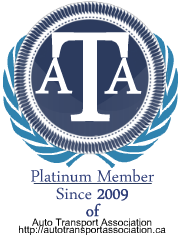 Who else better than a certified car carrier to aid you with your vehicle shipping across Canada! Request an online quote and get started with the booking process in an easy and simple way. Vehicle shipping to or from Nunavut in Canada has never been easier! Request a free car shipping quote; all you have to do is click in auto transport QUOTE REQUEST, and when you are ready to move your vehicle all you need is to do is complete the auto shipping BOOKING form, shortly you will receive all the information you need to book your vehicle for transport with us! Nunavut in the Inuktitut language - has been home to Inuit for millennia and part of Canada for more than a century. 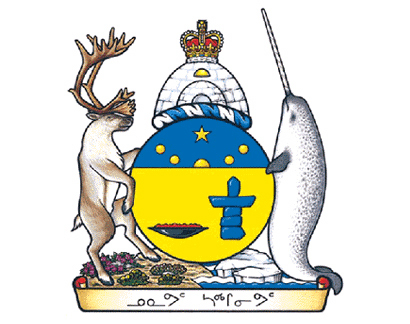 Embracing both traditional knowledge and values and the new opportunities presented by technologies like the Internet, the Government of Nunavut now provides a wide range of services tailored to the unique needs of approximately 34,028 residents. Nunavut can only be accessed by air and sea. You cannot get here by car and Nunavut communities are not linked together by highway. Travelling between Nunavut communities is usually done by aircraft or cruise ship, but in some cases it is possible to reach another community by snowmobile, dogsled expedition or powerboat. SHIP MY RIDE offers a variety of auto shipping services in the auto transport industry in Canada. If you need to transport your automobile, car or truck to Nunavut or from Nunavut, we are the car transport company that can help you. By filling in the quote request form you can receive an instant and free quote to move your vehicle from/to Nunavut to/from anywhere in Canada.